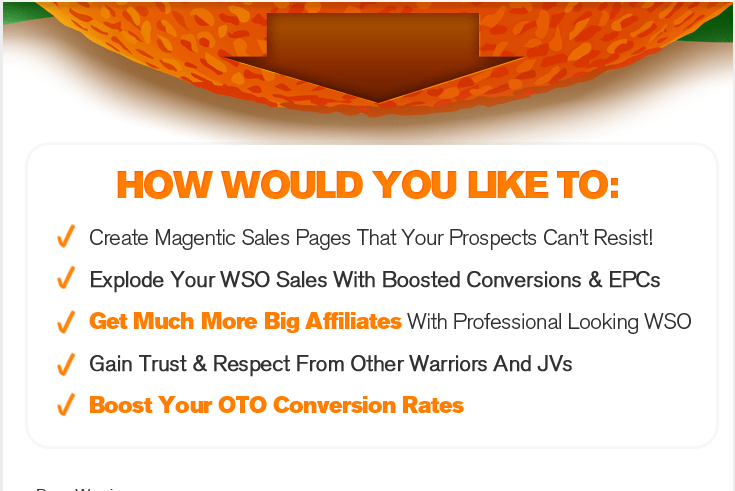 How would you like to create magentic sales pages that your prospects can’t resist, explode your WSO sales with boosted conversion and ECPs, get much more big affiliates with professional looking WSO? This is a special graphic package that is very useful in growing your business, learning new strategies and getting motivated. It can cost you thousands of dollars if your sales message is just lost in all the gimmicks and hundreds of potential affiliates and sales. This graphics templates that will make you stand out, demand respect and bring more JVs then you could ever imagine. 13 Modules With Unique WSO Graphic Templates (JPG + PNG + PSD File) – Get over 381 unique graphics that can be used for ANY offer to boost your sales and conversions dramatically. Save a ton of money on expensive graphic designs!. Sales page designs are EXPENSIVE. 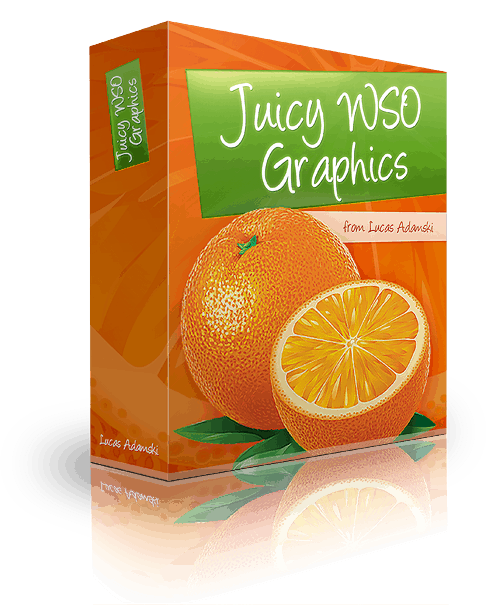 One WSO design can cost you up to $100! Explode Your WSO Sales! Attention is extremely important nowadays and you can get it easily with highly-potent graphics like these. These graphics will make you stand out from the crowd, give respect in your marketplace and establish you as an instant authority. Attract the BIGGEST Affiliates! Profesionally looking WSO is your first step to attract potential JV partners that can bring you MASSIVE amount of sales! Build a STRONG BRAND in your market. Professional graphics demand respect. It also establishes you as a go-to guy and a niche expert. Don’t go CHEAP, or you’ll look CHEAP! Save money on waiting days (if not weeks) to get your design delivered. Does it seem like you’re always waiting for someone, pulling your hair off frustrated, to get your projects done (and never actually finishing it…)? Get it in your own hands NOW, finish your projects faster and enjoy quicker $$$! NO NEED TO USE PHOTOSHOP! Forget about expensive graphic software, coding or technical issues. Just copy and paste these graphics on your pages in seconds! Its all-done-for-you. Most graphics don’t need Photoshop for customization, although for some you’d need to either hire a designer or do it yourself. PSD source files included! Want to get a bit fancy and edit some of these graphics? Or hire a designer to do that? No problem! I include all the source files with all layers and everything so you can edit all the existing graphics however you desire. Works outside WSO too! Use these graphics on your regular sales pages, Clickbank/JVZoo, whatever you’re using to boost your sales instantly! FREE BONUS 2 – Step-By-Step Guide How To Launch Your First WSO ($17 Value) – Starting out on WSO? Learn how to launch your first WSO with WSO Pro in as little as 6 minutes! FREE BONUS 3 – Copy-And-Paste Successful WSO Sales Page Template ($17 Value) – This is my exact BBCode I used to launch many of my WSOs. It’s beautifully formatted with all necessarry sales letter elements for maximum conversions! 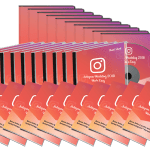 FREE BONUS 3 – Video Training ($17 Value) – Inside I’ll give you a short overview what’s inside the package and exact steps how to customize the graphics and text in them using Photoshop. Graphics customization takes just few clicks of the mouse, it’s that simple! FREE BONUS 5 – All Fonts ($7 Value) – Inside you’ll find all the free fonts I used in the graphics so you can edit them yourself and customize freely. Also in some graphics I use fonts like Myriad Pro, Futura, ITC Franklin Gothic that are commercial fonts. If you don’t have them, no worries! Use alternative free fonts and get similar results. No need to buy expensive fonts. You can only use this product for personal and commercial purposes. 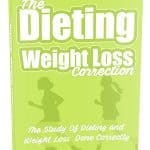 It is intended to help you with your own marketing purposes. 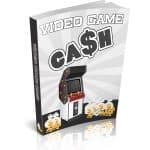 It is also a way you can start your own graphic design business and push out high-converting graphics, sales page, landing pages and other marketing graphics without being a PRO designer.